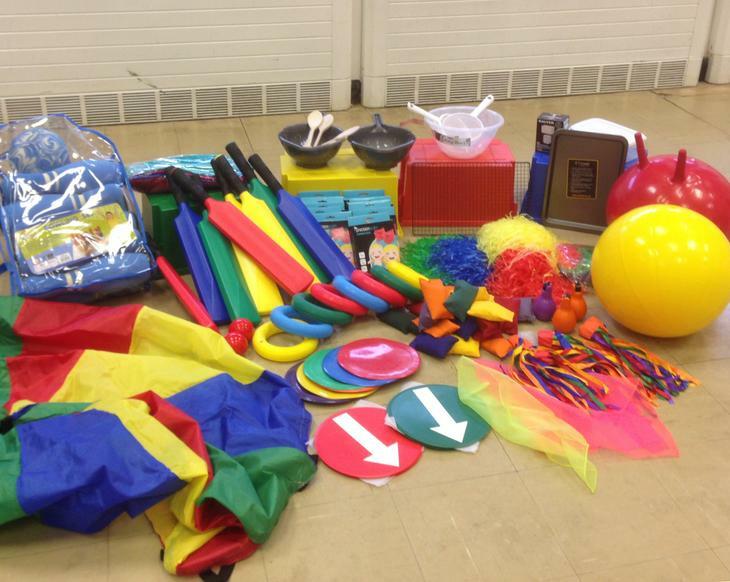 The equipment from the Sainsbury's Active Kids Vouchers scheme has arrived ! I have been able to replenish the P.E. cupboard with cricket bats, gym balls , storage boxes, a parachute and more. There are also some ribbons and dance scarves for drama, arm bands for swimming, and several items for the living skills room. All of this equipment will support the children's learning so a big thank you to everyone who saved vouchers for us, and to Mollie who counted them up !